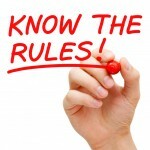 Under the check the box rules, entities owned by one person can often be disregarded for federal tax purposes. Such entities are referred to as "disregarded entities." As time has progressed since the passage of the check the box rules, the IRS has created more and more exceptions to the disregarded treatment. The following is a summary of the principal exceptions, but is not intended to be exhaustive. If any readers think we have missed anything major, please feel free to comment to this posting. Status is modified if the single owner of the entity is a bank. Treas. Regs. Section 301.7701-2(c)(2) (iii). Status is modified for certain tax liabilities. Treas. Regs. Section 301.7701-2(c)(2)(iii). These include: (1) federal tax liabilities of the entity with respect to any taxable period for which the entity was not disregarded; (2) federal tax liabilities of any other entity for which the entity is liable; and (3) refunds or credits of federal tax. Disregarded status ignored or modified for taxes imposed under Subtitle - Employment Taxes and Collection of Income Tax (Chapters 21, 22, 23, 23A 24, and 25 of the Code) and taxes imposed under Subtitle A including Chapter 2 - Tax on SelffEmployment Income. Treas. Regs. Section 301.7701-2(c) (2) (iv) (A). Conduit financing proposed regulations will treat a disregarded entity as separate from its single member. Code Section 7701 (I). Special rules will apply in hybrid situations. Hybrid situations are circumstances where an entity is not disregarded in one jurisdiction but is disregarded in another. Final regulations (TD 9796) that treat domestic disregarded entities wholly owned, directly or indirectly, by foreign persons as domestic corporations solely for purposes of making them subject to the reporting requirements under Internal Revenue Code, Section 6038A that apply to 25% foreign-owned domestic corporations.